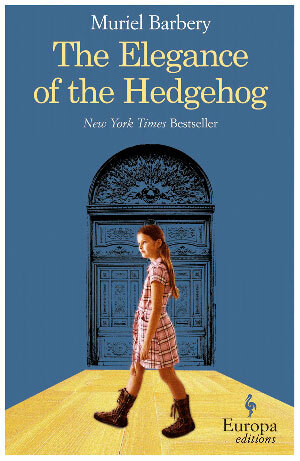 Several months ago Muriel Barbery’s novel The Elegance of the Hedgehog was chosen as the book for the bookstore reading group I lead. We have a sort of willy nilly way of choosing our books and this novel ended up on the top of the heap. When we came together to discuss it a month later, other than the woman who had thrown it into the pile, no one else had finished the book- including me. I got about halfway through…and I just really didn’t like the book at all. So imagine my dismay when the novel was chosen by my longstanding book club as our first novel for our new reading year! I had no choice but to finish the book. So, I started again. And strangely, this time around, I didn’t find the book so grating. That’s not to say that I found it all that plausible, either. Still, I did manage to get through it. Barbery’s novel tells the story of Renee, a concierge at an elegant apartment building in Paris. Renee has, despite what she considers her considerable flaws, a deep and abiding love for literature, art and music. Seriously, the novel opens with a rumination on Marx – which is perhaps the reason why I didn’t groove to the novel straight away the first time around: I know nothing about Marx. Paloma lives in the building with her parents and older sister. At twelve, Paloma is already sick of the world and everyone in it. The Elegance of the Hedgehog is about appearances. Renee is forever fearful about giving away her love of the finer things; after all, she’s just a concierge. Paloma, is keeping a journal of profound thoughts and plotting her own death. And then into their lives comes a Japanese gentleman named Kakuro Ozu. He sees straight through these women, into their very heart of hearts and changes them in ways they might have never imagined. This novel was a sensation in France. As with any translation, it’s important to remember that you are not reading it in its original form; something is bound to be lost in the translation no matter how good it is. I have a feeling that when we discuss this novel tomorrow night, most everyone will have loved it. I didn’t love it (in fact I didn’t like the ending at all! ), but I did see the novel’s charms- even though I often found the novel pretentious (all these mini-lessons on art and literature) and perhaps just a tad contrived. This entry was posted in Uncategorized and tagged 2009, book club pick, Book Review, challenging, literary fiction, translation by Christie. Bookmark the permalink.